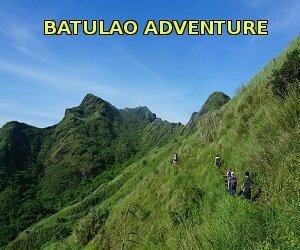 Batulao, a portmanteau of two Tagalog words "bato" (rock) and "ilaw" (light) is the name of the mountain situated in Nasugbu, Batangas that is famous for its lush jagged peaks. With its straightforward and clearly marked paths, this mountain can be considered beginner-friendly. Whether you are taking the old or the new trail (or a combination of both), this mountain will surely whet your appetite for the outdoors. TRIPinas offers a reasonably-priced, newbie-friendly Mt. Batulao tour. As with all our tours, we guarantee you a fun and safe hiking trip so you can jump-start your trekking lifestyle. The package cost includes the group's land transfer to and from the jump-off, local guide/coordinator and all applicable fees. Meals, gratuities, travel insurance and other incidentals are on the clients' account. Rate depends on how many people are in your group. If you're looking for a destination that will please both your friend who's completely clueless to hiking and your bud who's an adrenaline junkie - this mountain is perfect for you. Not only that, its close proximity to the metro makes it one of the cheapest hike you can go to from Manila and can be done in one day. Book with us and we will arrange everything to ensure that you have a fun and safe adventure. After a two-hour travel from Manila on-board our van, you will arrive at the jump-off where you can take your packed breakfast. A brief orientation will be given by the coordinator followed by some warm-up exercises. Stuff that you won't need for your climb such as change of clothes can be left in the van. As the trail is pretty exposed, slather on your sunscreen (>SPF 30) to prevent sunburn. Following your guide, you will be entering a barangay of friendly locals. Some small stores and basic toilet facilities are also available on the early section of the trail. After the first two kilometers, the path will gradually slope up offering a glimpse of the jagged peaks on the horizon. Upon reaching the fork that lets you choose between the old and new trail, take the path on the right (the new trail) and continue moving up. Follow the markers (peak numbers). You will pass through a camp site for those who stayed overnight. Close to it is a stall where a family sells some bottled drinks. There is another paid basic toilet in the area for your convenience (Php10/person). The group can take a breather here, hydrate, munch on some snacks and re-apply sunscreen before finally making the final summit push. Caution must be exercised here as some portions of the trail are steep with lots of loose rocks. Some sections also have ropes to assist hikers - very useful when the trail is muddy. About 30 minutes, you will reach the summit (peak 12 aka camp 10) where you will be rewarded with sweeping views of Batangas and Cavite. After taking photos, we can all head back down to return to the van where you will be taken to Tagaytay for a well-deserved bowl of bulalo and a strong cup of kapeng barako. It is located at Nasugbu, Batangas - roughly a two-hour drive south of Manila. We offer a day trip that starts at around 3AM from Manila. With traffic, you should be back in the metro by around 6PM. 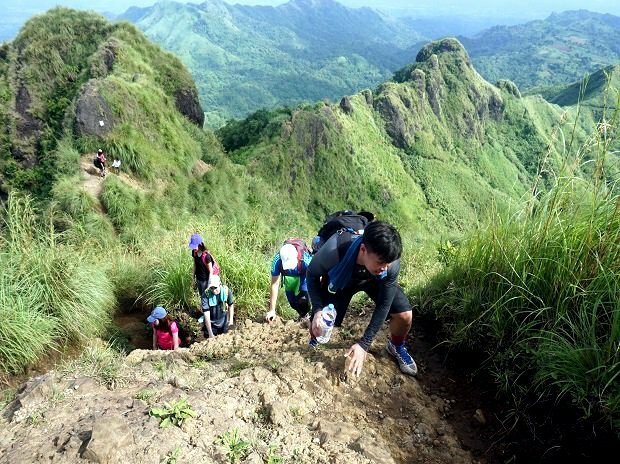 What is the difficulty level of Mount Batulao? The trail is friendly to those who are just starting to explore the joys of hiking activities. Is this open for everyone? 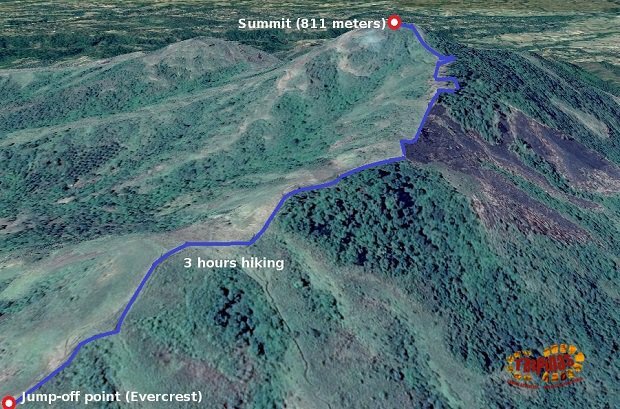 If you are comfortable walking for around 5 hours under the sun on continuously rolling hills, then Mt. Batulao is for you. We require that children be at least 12 years old and be accompanied by a parent or a legal guardian. Pregnant women need not sign-up. You can visit any time of the year, weather-permitting. Take note that since the terrain is exposed, the heat can be oppressive during summer and the rains can violently pound on you during the typhoon months. Bring appropriate gears. We are quite easy with that. If we are forced to cancel the trip for any reason and as long as it has not yet started you will get a full refund or the option the reschedule.